One of the great things about this recipe is that it's versatile. You can plan ahead and make it in your slow cooker or you can throw it together last minute and pop it in the oven. Either way, don't count on the baking dish being full for long. Unless of course you possess more self-control than certain members of our house. But I'm not mentioning any names (ahem). Lately, Rick and I are more in the mood for it being a little more on the crispy side, so I've been using the oven, but either way, it's great! Note: This recipe was submitted by me to Quick Cooking magazine in the fall of 2003 and was a $300 runner-up in one of their recipe contests. 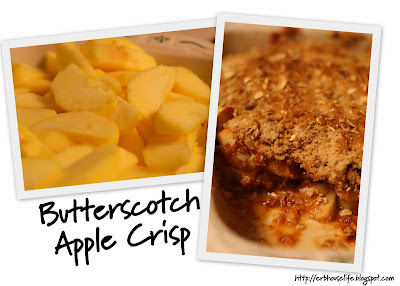 I posted this awhile ago on my blog, but am reposting because it is too yummy to be missed! Mouth is watering.. must get butterscotch pudding mix and make this asap! Um...Yum!! That sounds like the perfect fall comfort food. Can't wait to try this. Thanks for the recipe! This looks so yummy!! I think I'll be making a trip to the grocery store for some butterscotch pudding mix!